Full Tilt Poker has been busy as of late signing new pros to their site as Red Pros. 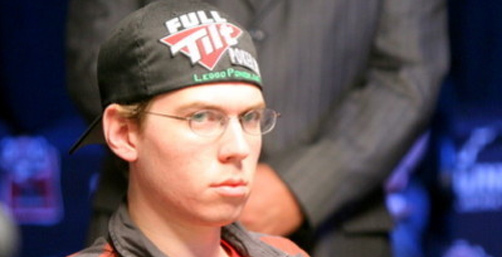 The latest addition to the Full Tilt Poker family is Andrew Lichtenberger. The poker pro did well in the 2009 World Series of Poker main event, earning an 18th place finish, and in the process he got plenty of airtime on ESPN and Full Tilt was able to see the player’s skills. Full Tilt signed Andrew as a Red Pro after seeing his performance at the 2009 WSOP main event as well as seeing his record for the past few months. Andrew has done very well over the past few months and he garnered the attention of the top online poker room. Andrew took to his blog to speak about joining Full Tilt and he joked saying: “I became a Full Tilt red pro today so now I stand out in the chat box. Hopefully I get both my avatar and first commercial soon.” Many players when added to a new poker team will take to their blog to announce joining a poker team or the site will release a press release with information on the new pro joining the team. Andrew is known as ‘luckychewy’ in online play and he first gained success online before he gained recognition at live tournaments. During the 2009 World Series of Poker Andrew cashed out in five events which included a second place finish at the $5,000 no limit hold’em shootout which earned him a prize of $215,403. But when he competed in the main event and finished in 18th he earned an even bigger payday at $500,557. Since the 2009 WSOP Andrew has continued to do well, earning a 10th place finish at the North American Poker Tour Venetian main event and taking home $44,195 as well as his win World Series of Poker Circuit event at Caesars Palace in Las Vegas which earned him $190,137. Andrew has been playing poker for some time and at the young age of twenty two it appears he has a strong career ahead of him. The player grew up in New York and first started playing poker when he was in college. He eventually decided to drop out and become a poker pro when he began earning big cash outs from playing at top online poker sites. He was playing cash games but then turned to tournament play, which proved to be a smart decision. The new Red Pro is now looking forward to his new status at Full Tilt and he could soon be moved up to a full fledge Full Tilt team member. The pro will be earning $35 each hour he plays at Full Tilt Poker and he will also be able to enjoy a 100% rake back and bonuses that are connected to him appearing on any televised events as he wears the Full Tilt Poker logo. These are the benefits of a Full Tilt Red pro member.